Implementing new menus and individual menu items (bakery goods) based on current food trends and regional tastes in partnership with Marketing (Product Development). 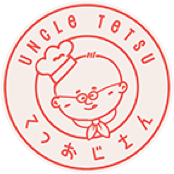 The GM manages a successful Uncle Tetsu store in fulfillment of the Panda 2020 vision. Proactive – Sees life as choices and chooses to make a positive impact. People Oriented – enjoys working with our guests and associates, possess good communication and interpersonal skills. Growth Oriented – knows that learning and growth are keys to personal and professional success and is willing and able to share learning with others. Results Oriented – focuses on getting results without compromising guest, people, and financial areas.